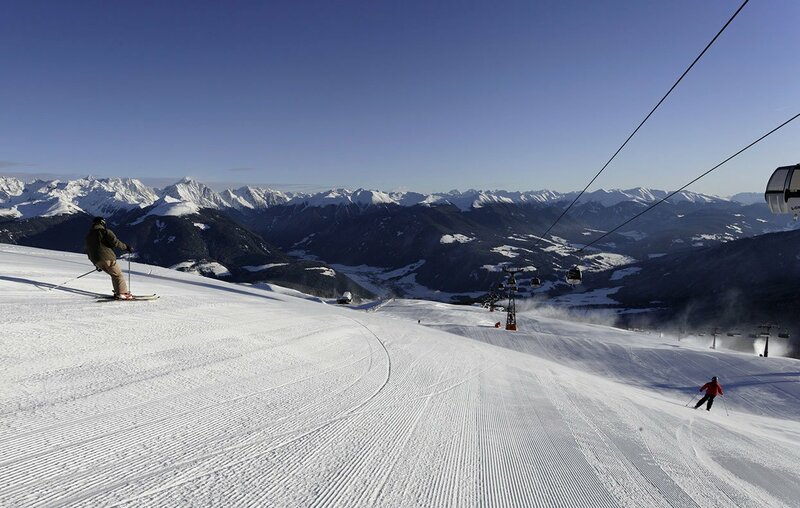 A winter holiday at the Kronplatz guarantees both toboggan friends and mountaineers ideal conditions for their sporting pleasure. 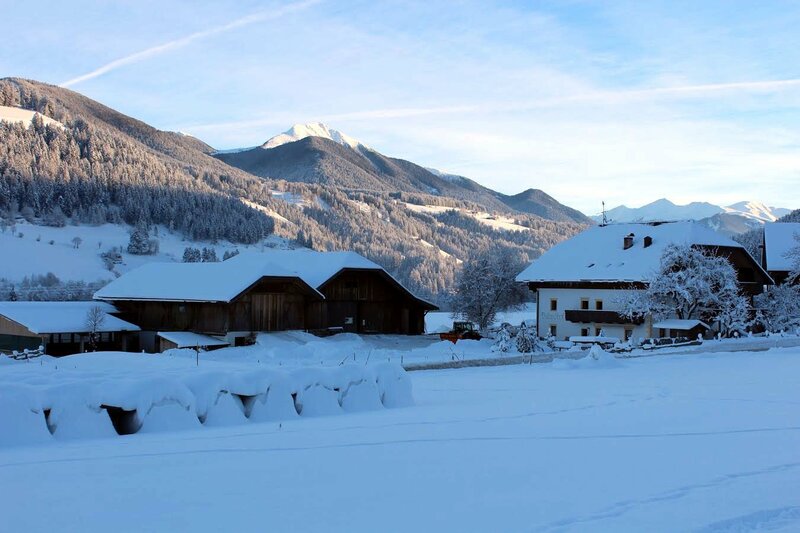 These dreamlike conditions apply throughout the Puster valley, which is an attractive destination in South Tyrol for biathletes, cross-country skiers, ice skaters and ice climbers. 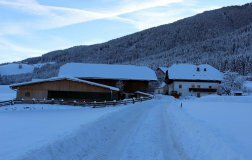 But the Puster valley in South Tyrol is appreciated also by hikers and snowshoe walkers who enjoy marching in the snowy landscape. 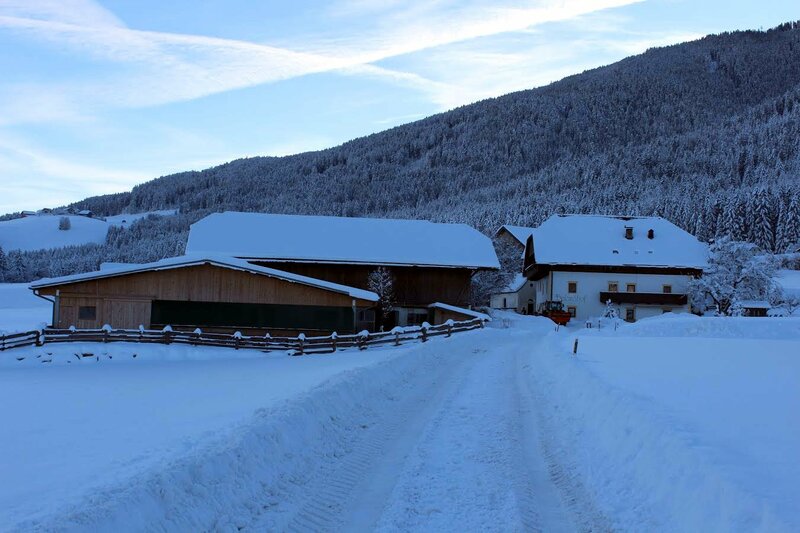 Directly at Bulandhof a cross-country ski track drives past, so you can immediately resume your sporting pleasure, once you have left the accommodation. 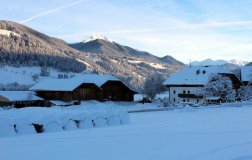 Also in close proximity there is available a network of total 114 kilometers of slopes during your winter holiday at the Kronplatz. 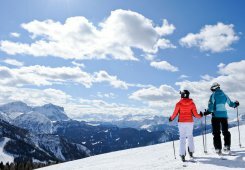 Ski holidays in the Dolomites you spend at an altitude of 1000-2275 meters. 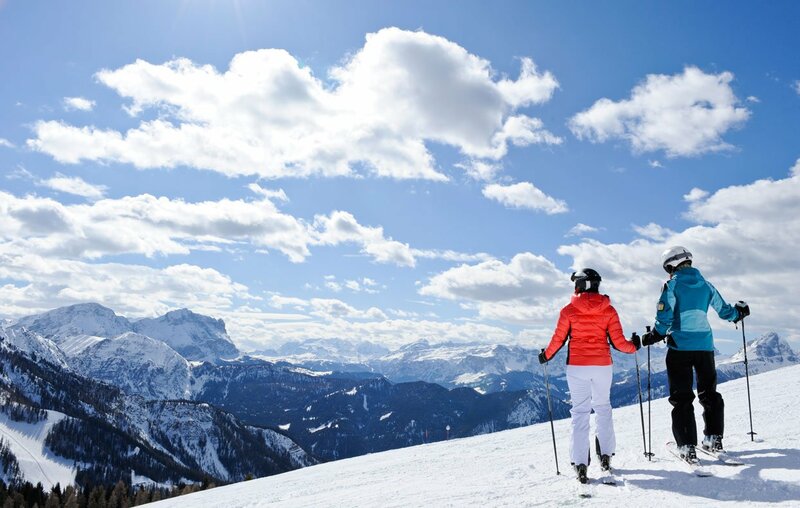 A total of 32 different ski lifts provide for varied ski holidays in the Dolomites, so you can try a new route every day. 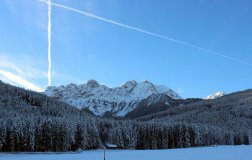 As all slopes in this ski area are equipped with snowmaking systems, this area is considered extremely snow sure and nothing stands in your way for an untroubled pleasure during your ski holidays in the Dolomites. The Kronplatz ski area stretches its way not only at the Kronplatz, but also over the two neighboring mountains, the Piz de Plaies and the Piz da Peres. 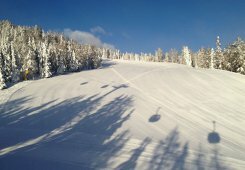 The different slopes, however, are connected to each other. 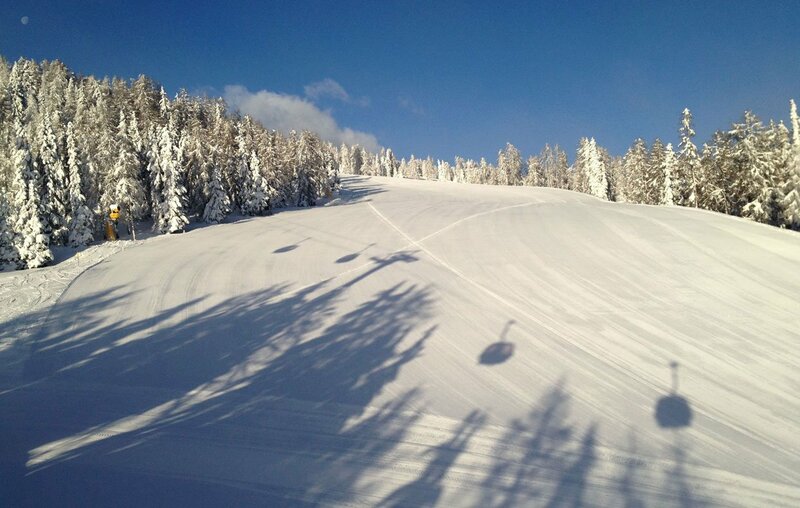 So a cable car leads from Kronplatz, over to St.Vigil, directly to Piz da Peres. 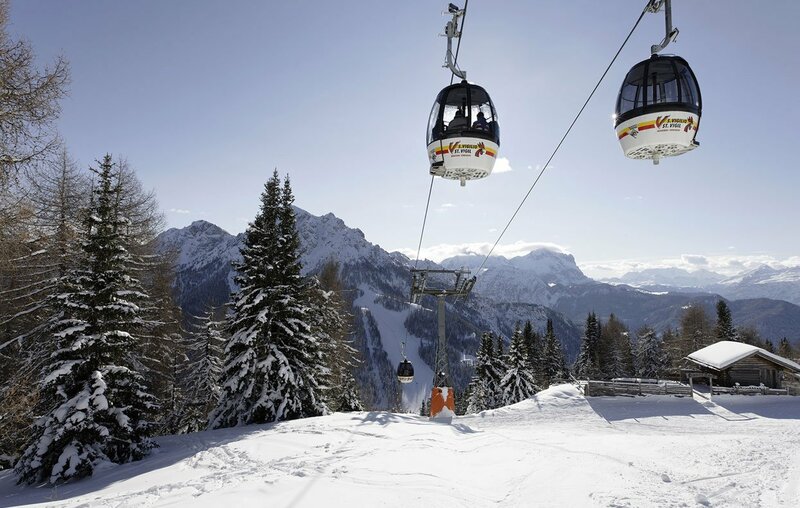 Other smaller lifts that are not directly connected to the actual ski resort, are located in the Puster valley, Antholz valley and in the Gsies valley.